The Great Cover-Up is our all-covers show featuring songs recorded between 1976–1995. 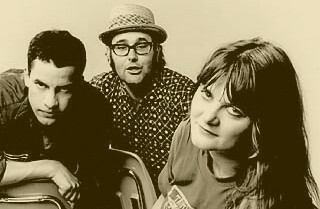 This hour-long episode features covers by Barbara Manning (pictured), Redd Kross, The Lemonheads, The Cramps, Husker Du, Bangles, Black Tambourine, Primal Scream, The Gun Club, and Yo La Tengo; and covers of The Crystals, Wire, The Sonics, Creedence Clearwater Revival, The Verlaines, Love, and Young Marble Giants. Plus three Leonard Cohen covers you’ve possibly never heard and a really strange cover of The Seeds.